As some of you know from reading this blog, I completed my doctorate earlier this year. 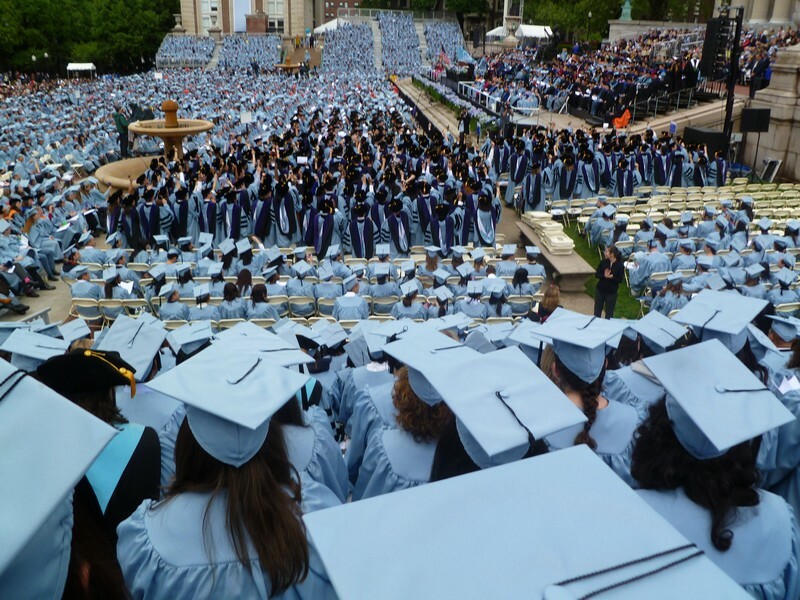 This week, I attended my official graduation ceremony (pictured above). It was an incredible day on so many levels. There were times when I thought it would never happen. I entered my doctoral program as a young, healthy single woman. I left it as a married woman with a child and RA. In many ways, my memories of my years as a doctoral student are inextricably tied with my journey with RA. 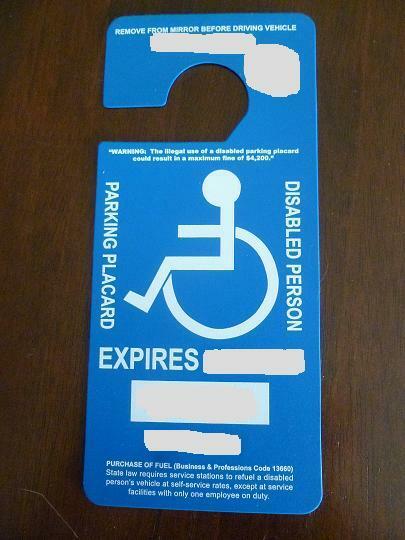 I struggled with the label “disabled,” fought against the idea of using the disabled services offered by my university. This struggle lasted right up to the end, when I accepted a disabled parking permit for my graduation day but still insisted on walking in the ceremony itself, instead of taking disabled seating. I also did something foolish – at the end of the ceremony, my friends got impatient with the logjam at the steps leading down from the bleachers where we were seated, and opted instead to jump down the bleachers themselves. I jumped with them, and paid for this decision with two days of pain. Maybe this was worth it for the chance to feel like a regular, non-sick person for a day. Or maybe it just shows that on some level, I still wrestle with denial. Logically, I know that this is a good thing. With the temporary permit, every six months I had to deal with the logistics of getting the documentation from my doctor and then endure a miserable, frustrating trip to the DMV, plus pay a fee. Now I can renew by mail in two years, without having to provide any more documentation or pay any money. But still, the idea that I am “permanently disabled” is hard to swallow. The reason this came to pass is that the law in my state says that a person cannot have more than six consecutive temporary permits. The fact that I have means that I have been using disabled parking permits for three years now. That, too, was hard to face. 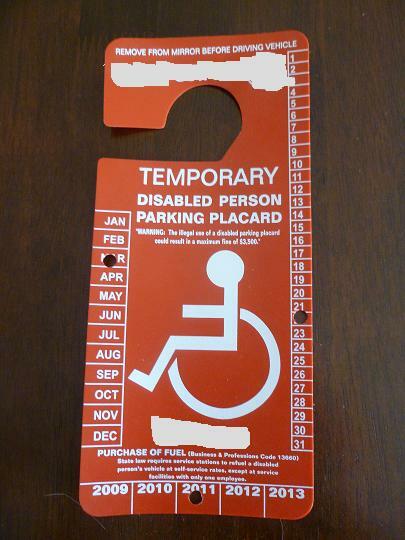 I really never stopped thinking of myself as “temporarily” disabled; I guess the state sees it differently. I know that this doesn’t mean anything from a medical perspective, but it was sobering to realize that it really has been that long. In time, I would like to be grateful for the second graduation and the conveniences it brings. For now, I will focus on celebrating the first graduation. I have been waiting and waiting and waiting to post because I felt as if I needed to have something meaningful to say. Well, I don’t. So I guess I’ll just do a brief catching-up-type post and then hope that inspiration strikes at some point! My dissertation defense was a success, so you can now call me Doc! It still feels really strange to be done after all that work and time. I’m a bit at loose ends, trying to figure out what to do next. I’ve had a long period of rest – more than a month – and am starting to feel as if I’d like another project. As for the RA, things have actually been pretty good. My doctor did raise my Remicade to 8 vials, and it really seems to have helped. On the whole, I’m doing very well. I also got off prednisone completely, which was a bumpy experience, and I hope I can stay off it for awhile. Not much else to add. I’ll try to write something more profound next time!